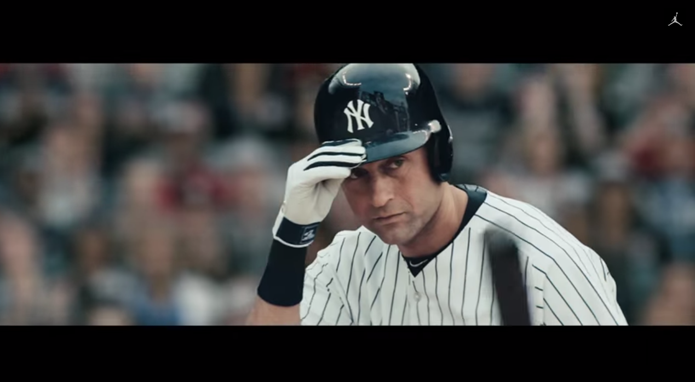 The 100 second spot from Nike’s Jordan brand plays heavily on the fanaticism of Yankees fans — and elevates Jeter to the next level by having major rivals, the New York Mets and Boston Red Sox also pay tribute. Known for his batter’s box routine of tipping his cap/helmet, the spot features the entire gamut of public figures mimicking this routine. The list includes: Boston Red Sox pitcher Jon Lester, Spike Lee, former New York City mayor Rudy Giuliani, the Yankees front office, New York City cops and firefighters, Carmelo Anthony, Billy Crystal, reluctantly respectful Red Sox fans, Tiger Woods, skateboarder Eric Koston, the San Diego Padre, rapper Action Bronson, WNBA All-Star Maya Moore, Phil Jackson and his wife Jeanie Buss, New York Mets players with faces blurred, Jay Z, and an area doorman, plus retired Yankees and ’90s greats Jorge Posada, Mariano Rivera, Tino Martinez, and Andy Pettite; former Yankees manager Joe Torre; and lastly, Michael Jordan. 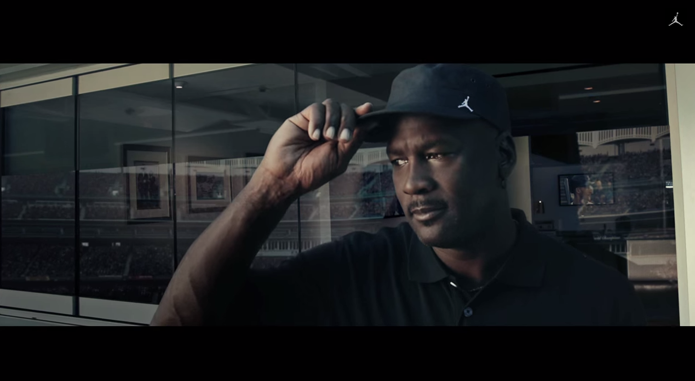 Nike’s Jordan Brand subdivision, agency Wieden+Kennedy, and Arts & Sciences director Matt Aselton have captured the sentiment of the city and the wider sporting community. Jeter is a legend by any measure and well worth the accolades he receives. But New York is probably the most fiercely patriotic city in the world and by focusing on its residents and the fans of the Yankees, the Jordan Brand has intelligently aligned itself with diehard brand advocates. The spot plays heavily on the emotional gravitas many of us feel towards our sporting teams and heroes and aims to show that no matter who you are, the man deserves your respect. Six million views and counting, and the tribute is dividing commentary and sentiment — and building reach regardless. But as the video descriptor states, No matter what hat you wear, tip it to The Captain. #RE2PECT.